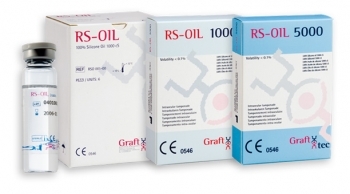 SOP, Silicone Oil Pack, includes 1x highly purified silicone oil (100% pure polydimethylsiloxane), 1000cS, 2000cS and 5000cS, 10ml, sterile, prefilled syringe and 1x system connection tubing. Intended for long term replacement of the vitreous humour. 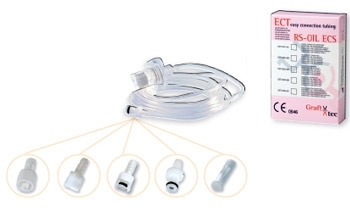 The ready-to-use syringe, made of inert plastic and silicone oil compatible material, the tubing connects directly to the surgical system with the supplied tubing. A stable tamponade and reduced incidence of complications. Also available as preloaded syringe without tubing and vials. SOP 005-00 1000cS ORBIT, OS3, FAROS™. SOP 006-00 5000cS ORBIT, OS3, FAROS™. SOP 007-00 1000cS ASSISTANT, Luer connection. SOP 008-00 5000cS ASSISTANT, Luer connection.